We are a Canadian Not-for-profit Corporation since October 2015. Our program seeks to protect endangered Aboriginal arts and their makers, employ logistically and financially challenged artists. Our Classroom Art and Knowledge Exchange Program creates exciting friendships between Aboriginal students and their peers in non-Aboriginal or multi-cultured classrooms via a pen pal and art exchange program. 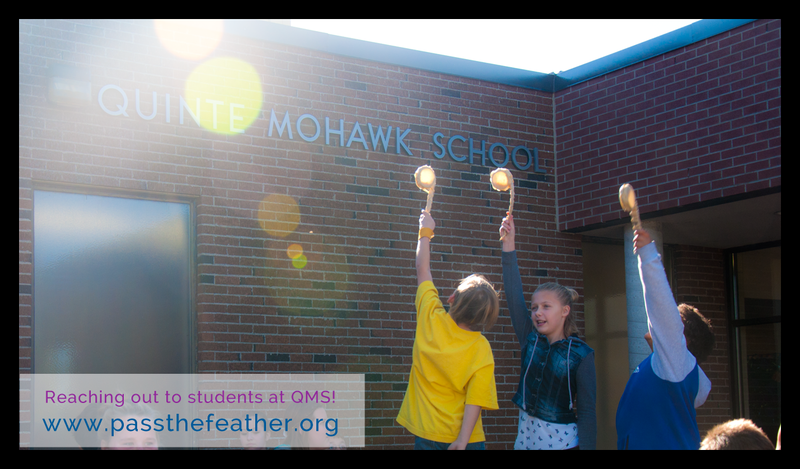 Pass The Feather Classroom Art & Knowledge Exchange Program is open to all federally and provincially funded classrooms. On-reserve classrooms from grades 5-8 are paired with peers in the public school sector. Pass the Feather employs home makers, disabled and logistically and financially challenged artists and crafters to produce product for fundraising sales. All on-reserve artists are able to apply. We also have a free website where FNMI artists can post their bio, pictures and contact info. Our program seeks to protect endangered Aboriginal arts and their makers, employ logistically and financially challenged artists and empower the next generation of artistic leaders. We believe that access to to quality programming and infrastructure is key to changing economically and logistically vulnerable Aboriginal artists and craftspeople. Appropriate spaces creates community engagement and facilitates the transfer of cultural knowledge to the next generation. The exchange program enables educators to approach First Nations culture via transparent lesson plans and creates informed opinions of First Nations culture in Canada.